Have you always desired to become a writer? A writer is a person who writes either as a commercial writer, which is a writer for hire. Or the writer is a literary writer– inspired to share something important with society, or add something to literature or culture. The literary writer is not a writer for higher, nor does this type of writer earn a salary. The literary writer is often a starving artist until he/she becomes recognized by the establishment. The literary writer frequently toils at a job to pay the bills, so that he/she can write in the evening or on weekends. Writing is a labour of love. To call yourself a writer, you must write on a regular basis. Ideally, you must write each day. Writing must become a habit, a daily ritual, work you do to achieve some purpose–such as publishing a book of poems, short fiction, memoir, or personal essay. Despite good intentions, many aspiring writers never embrace the writing life. Just ask a few MFA graduates if they are writing. You’ll be shocked to learn that less than 50% are still writing anything five years after they’ve graduated. Why is this so? A writing room is required to write. This is just not true. While it would be nice to have a writing room, many people just starting out don’t have the space to write. Perhaps, you live in a small one bedroom apartment, or share a house with many other people. All you really require to write is a private space, such as a coffee shop, park bench, bedroom, your car, any space free of noise and distraction. Any quiet place where there is inspiration is acceptable. You require the tool of computer to begin writing. This is also not true. Hemingway, Wolfe, Carver, Faulkner, T.S. Eliot—and many, many other writers never had the luxury of crafting their fiction, personal essays, or poetry with a computer. To write, all you require is a pen and pad of notepaper. As well, you should own a thesaurus and dictionary. Writing requires inspiration. Many aspiring writers believe they have nothing to write about, and so they wait for inspiration to motivate them to write something memorable. To become a writer, you must get into the habit of writing each day. If you wait for inspiration, you might never write. And so, you must seek out inspiration—tapping into memories; reading a wide range of books and magazines; embracing popular culture; taking an artistic date; doing some freewriting; keeping a journal. The lack of time prevents you from embracing the habit of writing. This is just an excuse. Each day, you must find time, or make time. That means you must make writing a high priority. It should be at the top of daily to-do list. Either you schedule time, or you find a few minutes each day to write. For instance, you might write for 15 minutes while drinking your morning cup of coffee, or for 15 minutes while you are computing on the subway, or for 15 minutes before you drift off to sleep in the evening. Suppose you write for 15 minutes each day. This works out to 2 hours and 15 minutes each week. This collection of time provides you with more opportunity to write than if you don’t write at all. Your first draft must be your best draft. Writing is a process. First, you discover an idea. Then you write down the points you wish to make. Then you write an opening, write the content, and end with an important point. Many aspiring writers believe that this first attempt is all that is required. Read any profiles or biographies of published authors of poetry, fiction, or personal essays—you’ll quickly discover that Most writers revise their work many times over before they create a memorable piece of writing, something that is worthy of publication. A Master’s in Fine Arts with a specialty in Creative Writing (MFA) is required to become a writer. Read the biographies of many great writers, and you’ll learn that many of them never graduated with a MFA. In fact, most writers are self-taught. They’ve learned the art and craft of writing on their own. And then acquired additional knowledge, skill, expertise by enrolling in a few courses, workshops, writing retreats, or by joining a writing group. You must be a published author to call yourself a writer. This is just not true. Many aspiring writers who craft memorable work have not been published–but this doesn’t mean they never will publish. The act of writing makes you a writer. The habit of writing each day means that you are a writer. And with the birth of digital publishing, you always have the opportunity to self-publish. Many great writers have self-published their work , including Walt Whitman. Great writers are born, not made. In other words, the ability to learn the art and craft of writing poetry, fiction, personal essay is genetically determined–and cannot be learned. You can learn the craft of writing by learning the rules of grammar, spelling, punctuation; by expanding your vocabulary; by learning the variety of sentence structures; by learning the different types of paragraphs; by learning how to write into a structure. You can learn the art of creative writing by learning some creative thinking skills, such as brainstorming, asking what if, and shifting your perspective. Two important cognitive tools to help you: Learn how to tap into your memories and develop your imagination. You can also learn how to write creatively by learning the technique of showing and telling a story; by learning how to write similes and metaphors; by learning how to write concrete, vivid, significant descriptions; by learning how to write sensory imagery, using language that appeals to the reader’s sense of sight, smell, hearing, taste, and touch. You can also learn the craft of writing by teaching yourself or by enrolling in writing courses. A few good books to help you learn the craft of writing: The Elements of Style by Strunk and White, On Writing Well by William Zinsser, Sin and Syntax by Constance Hale, The Writer’s Portable Mentor by Priscilla Long, Woe is I by Patricia O’Connor. There aren’t publishers who will publish your work. With the dawn of the Internet, you can create your own blog and self-publish your writing. You can also self-publish your collection of poetry, short fiction, or personal essays by using software tools offered by Amazon or Apple, which will allow you create and sell a digital e-book. These books can be read on a tablet or smartphone. 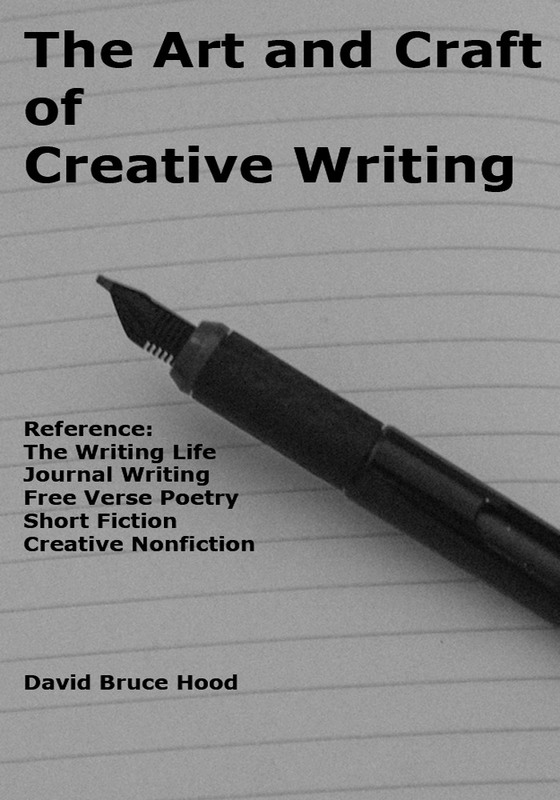 You can become a creative writer by learning the art and craft of creative writing. You must also embrace the writing life. To do this, you must make writing be a high priority, like someone training to run a marathon or practising to win a gold medal at the Olympics. You might also have to overcome false beliefs, which are usually rooted in myth. To become a writer, you must get into the habit of writing each day. And you must read poetry, fiction, creative nonfiction on a regular basis. This sort of writing material will inspire and illustrate the art and craft of creative writing. And then you must practise your writing and attempt to publish. At the very least, you must write in a journal each day–with the hope of publishing something meaningful at some point in the future. To help you learn the art and craft of writing, you might consider enrolling in a few writing courses or joining a writing group or attending a conference or taking a journey to a writing retreat. These tasks and habits won’t guarantee you’ll publish, but you can certainly call yourself a writer.